You know that moving archive documents and files off site makes perfect commercial and business sense. It frees up valuable office space, but keeps vital information safe, secure and readily accessible. Leaving you in control, but giving you that welcome extra space. However we understand that you’re only going to hand over the lifeblood of your business if you are 100 per cent sure that when you suddenly need that screamingly urgent document you sent off for storage three years ago delivered to your desk in two hours – it will be. Complete faith in the total reliability of an offsite document storage service is actually what you’re looking for. Accurate, secure, and delivered through a team that you know personally – and trust. 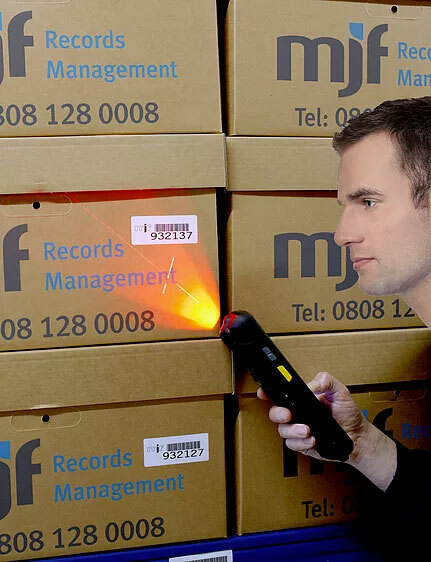 MJF’s tailored records management solutions are comprehensive, highly flexible, competitively priced, guarded with Fort Knox intensity and delivered with razor sharp accuracy. We protect and store archived documents for some of the UK’s leading FTSE businesses in law, banking, insurance, accountancy and many other fields. 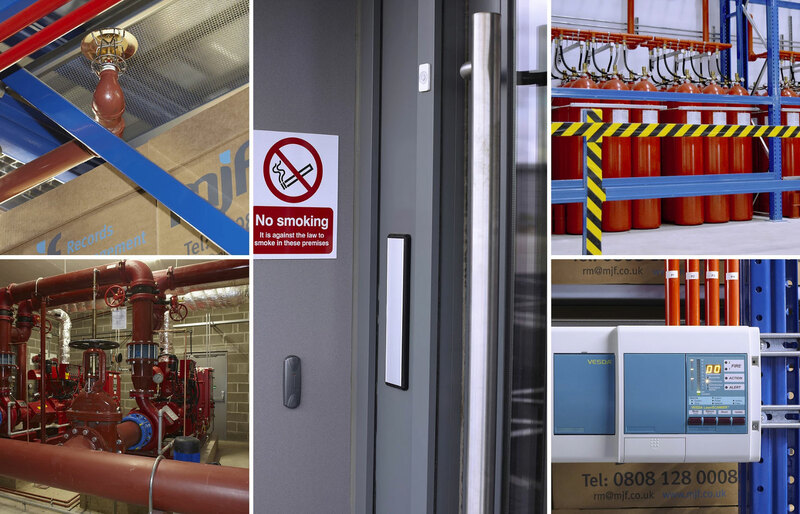 We operate six facilities across the UK – including a 22 metre mega-high facility 30 minutes from the City of London – offering millions of spaces. They are among the most modern facilities in the country with the very latest security protection, enabling us to offer you the highest levels of service. And because we’re not the kind of people who think that’s good enough, we’re committed to using the very latest technologies to ensure we always offer you the services which are the best, fastest and most accurate they can be. Three scan verification process before boxes and files are placed on the racking. Delivery through hosted portal, client server, FTPS or disk. Full individual vehicle tracking to optimise operations and improve efficiency. 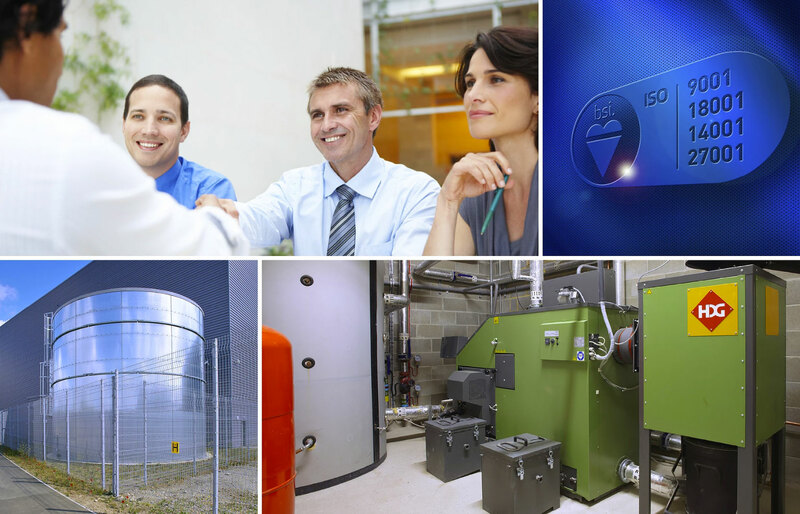 All installations to NACOSS/BS5750 ISO standards, in compliance with PD6662.2004 and BSI DD243.2004. Full NFPA carton storage and BS5839 Part 1 type L28,000 sprinkler heads, installed roof level. in every aisle and in every rackHighest available standard in the UK. Most advanced and sensitive system in the market today. Independent access control with CCTV on all access points. 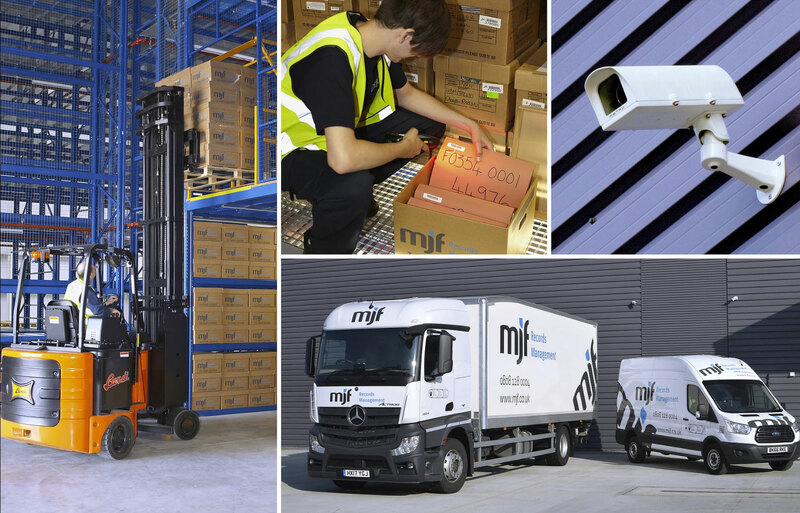 Every item we manage is bar-coded, tracked and traced through its lifecycle. Staff vetted to restricted levels in line with HM Government including DBS. What draws us together? A solid foundation of clear values, business integrity, a desire for innovation and a responsibility towards our people and partners. Our backbone of trust, reliability and financial stability come from years of developing long term relationships and achieving successful outcomes. Our core strengths never waver. That’s why our customers come back time after time. We work with our clients as trusted partners. First we make sure we get to know and understand individual business issues. Then we deliver the most cost-effective, time-efficient, quality, bespoke solutions.We embrace breakthrough technology, yet we always believe in clarity of thought and a simple, open, straightforward approach. No, we’re not afraid to tell you when something won’t work. Yes, we will always come up with the answer that’s right for you today and tomorrow. We believe in enhancing personal productivity and supporting corporate growth. Our solutions help clients achieve higher targets and attain better results. Fill in the form on the right including your telephone number and let us know when would be a good time to call. Keep updated with our monthly newsletter. Just fill in the form on the right with your name, email and title the subject, ‘newsletter’. © 2018 by MJF Records Management. Parent company – Ireland 393757.